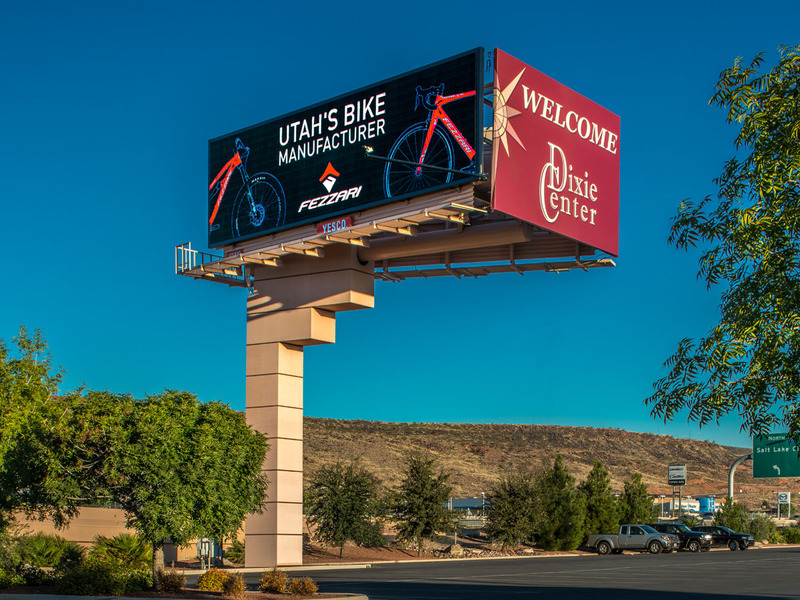 Once rivals in the highly competitive LED electronic display industry, today Watchfire Signs and YESCO are collaborating on a number of high profile digital sign projects, including two high resolution digital billboards in St. George, Utah. YESCO recently selected Watchfire Signs to manufacture two 16mm, 14’ x 48’ digital billboards located on Interstate 15 near the Dixie Center, a premier convention destination in St. George. The billboards, installed in August and September 2017, feature ads from local businesses and are nearly sold out. YESCO previously operated an electronic sign business that competed directly with Watchfire. YESCO sold its electronic display manufacturing business in 2015. A project such as this would have been inconceivable when YESCO and Watchfire were competitors. Now that YESCO no longer manufactures electronic displays, Watchfire has become a key part of YESCO’s strategy to be the premiere electronic display integrator. In addition to the two billboards, YESCO enlisted Watchfire for a new display for Security National, a financial services company, in Salt Lake City. The 12’6” x 21’6”, 16mm display delivers crisp, clear images in this high traffic location. Watchfire Signs and YESCO share a similar culture, according to Wardle. “YESCO is family-owned and Watchfire started as a family business. We both have employees with decades of tenure, so there’s good continuity in relationships and projects,” said Wardle. Read this free guide to learn what every billboard operator should know about digital billboards.